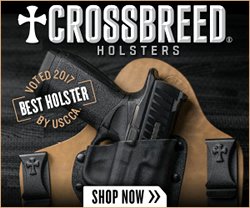 JM Custom Kydex INC offers holsters, pistol magazine pouches and rifle magazine pouches. 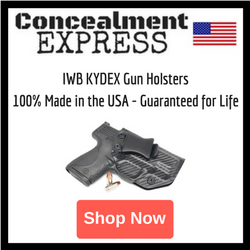 JM Custom Kydex has added their new Kydex AIWB Wing Claw Light-Bearing Holster line to their website! 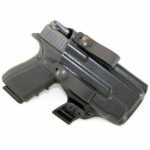 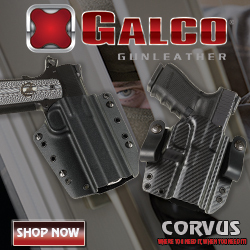 This holster was designed for those that want to carry in the appendix position with a weapon-mounted light. 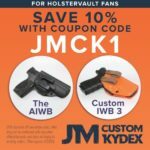 Congrats to our friends at JM Custom Kydex Featured in the Jan-Feb 2018 Issue of Women & Guns Magazine! 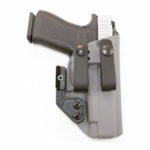 JM Custom Kydex produces holsters and mag pouches for over 160 pistols and revolvers. 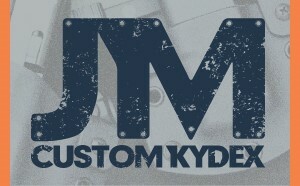 Visit the JM Custom Kydex site for more info! 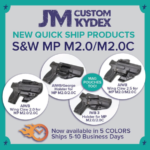 JM Custom Kydex has expanded their line of Quick Ship Holsters to include holsters for the for S&W M&P M2.0 & M2.0C. 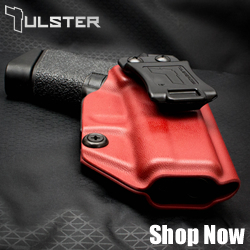 These Kydex holsters are now available in 5 colors and ship within 5 -10 business days.